Getting your site up and running is just the first step towards managing a successful website. 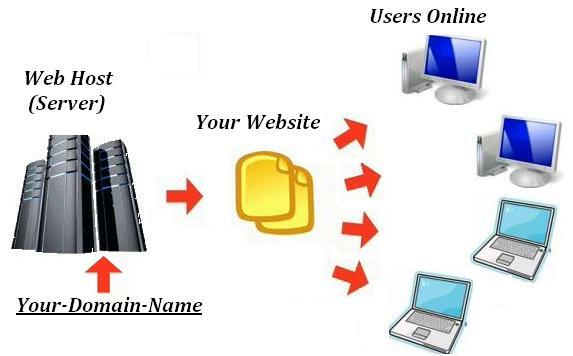 For the site to continue to run smoothly, you need to maintain your hosting account properly. In this article, I’m going to discuss several steps to take in order to keep your web hosting account optimized. No matter how reliable your web hosting service is, it is always a good idea to maintain your own backups of the website. You can either download the automated backup created by the hosting company or store it on a remote server (or locally), or create your own backup altogether. The later gives you the freedom to choose backup formats as well as the files you want to backup. Backing up a website is easy. CPanel and other control panels used by top web hosting companies have backup features built into them. All you have to do is run the backup routine to create a complete or partial backup as needed. You don’t have to have another hosting account just for storing backup files. You can now use free cloud storage to secure your site. It is even possible to store backups on the cloud automatically thanks to third-party tools and web applications. With the backup files stored in the cloud, you no longer have to manually upload it whenever you need to restore your site. Another good routine to incorporate into your web hosting maintenance plan is removing unused and duplicate files. Error logs, development files, older versions of your site and other unneeded files can quickly take up a lot of hosting space. Keeping them is perfectly fine if you are using an unlimited hosting, but it is not the most efficient approach to maintaining your account. The more unused files you keep, the larger your backup images will be and the more difficult it is to maintain them. Don’t forget to be extra careful when you are searching beyond the Public folder of your web hosting account; some of the seemingly unused files may actually be essentially important. Scan the web hosting account for duplicates regularly and remove them if necessary. Although scanning for duplicate files is not something you can do automatically from the control panel of your hosting account, there are FTP-enabled desktop apps and web tools that can help you complete this task in just a few clicks. Most of us are used to not deleting emails. This is because we are pampered with gigabytes of free email storage space from companies like Google and Microsoft. With self-hosted email addresses, large, old emails can actually be a problem. Luckily, most of the emails stored on the server can be stored locally on your computer; all you have to do is set your mail client to store emails and delete them from the server. This way, your emails will not take up any hosting space at all. If you don’t want to store emails locally, you can also have them stored online without using your actual web hosting space. Forward emails to a new, free email account for backup purposes; it’s as simple as that. Alternatively, you can regularly back up your old emails to an archive and delete them from the server afterwards. Most web owners neglect this particular step. This is because the size of a database is not easily visible on the control panel of most hosting companies. However, a database can easily take up a lot of your hosting space. Even worse, databases that are not optimized can greatly reduce the performance of your site. If you are using WordPress as a CMS, for example, you will find a lot of the post and page revisions being stored in the main database. These revisions, although not always necessary, are stored for an extended period of time. As your site grows, you will be storing more of these unused entries in your database. The result could be catastrophic; after a while, querying for a post can take longer than expected. Similar to the previous steps, there are plenty of tools that can help you automate the task of optimizing your database. Find a suitable one according to the web application you are using and you will have no trouble at all keeping the database compact and augmented.